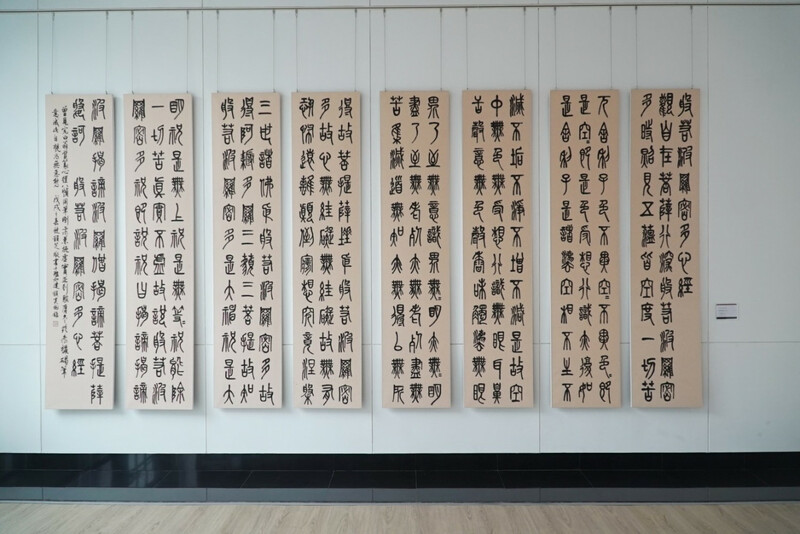 An exhibit of Chinese calligraphy by Yince Djuwidja. Local artist and founder of Yun Artified Community Art Center, Yince Djuwidja (left), poses with her teacher Li Hung Cheng during the opening of Yun Artified Community Art Center. Beijing-based artist Zheng Lu attends the opening of Yun Artified Community Art Center on Jan. 18. 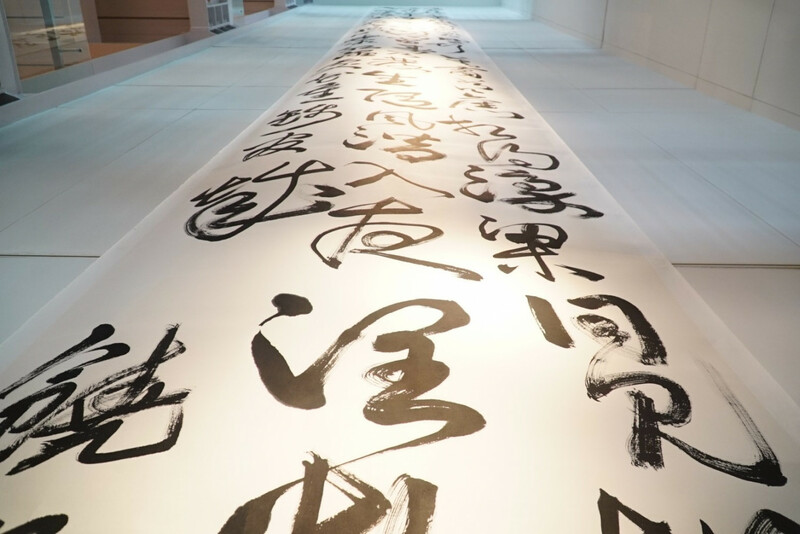 15-meter long calligraphy exhibit by Yince Djuwidja. Located on Jalan Katamaran Permai 3, Pantai Indah Kapuk, North Jakarta, Yun Artified Community Art Center is equipped with a dehumidifier to maintain the building’s humidity level and double glazed windows to block ultraviolet rays. Chinese painting by Yince Djuwidja. Yun Artified Community Art Center officially opened to the public on Jan. 18. 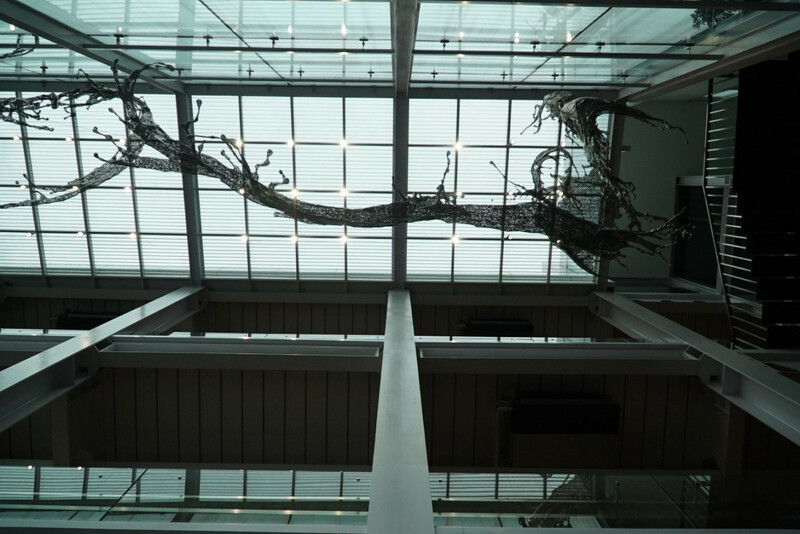 During the opening event, visitors to the art center were invited to look around the 1,584-square-meter space housing 60 artworks, featuring Chinese calligraphy, Chinese ink paintings, oil paintings and sculptures by local artist Yince Djuwidja and some stainless steel sculptures by Beijing-based artist Zheng Lu. Located on Jl. Katamaran Permai 3, Pantai Indah Kapuk, North Jakarta, the art center is equipped with a dehumidifier to maintain the building’s humidity level and double glazed windows to block ultraviolet rays. “This is an [art space] with museum-level [facilities],” said senior art critic Jim Supangkat, who also served as curator for Yun Artified’s debut exhibition. Yince, the owner of Yun Artified, said the idea of building the community art center derived from her involvement in the local art scene. As an artist, she discovered that there were limitations in space, time and facilities while using one of Jakarta’s art museums. She also found that local artists tended to find barriers in interacting with foreign artists, particularly artists from China. "It's possibly because of the language and limited network channels," she said. 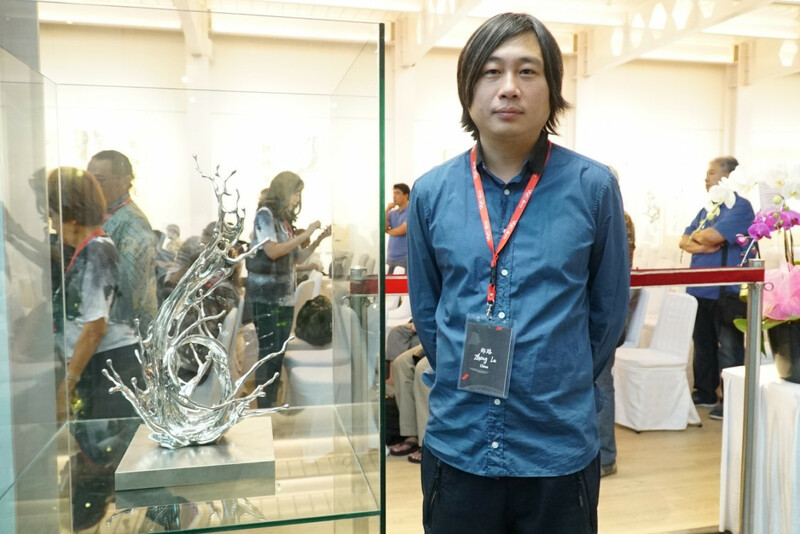 With that in mind, Yince decided to build Yun Artified to support local artists, hoping that the art center would help Indonesian artists engage in art-exchange programs with Chinese artists or other foreign artists. 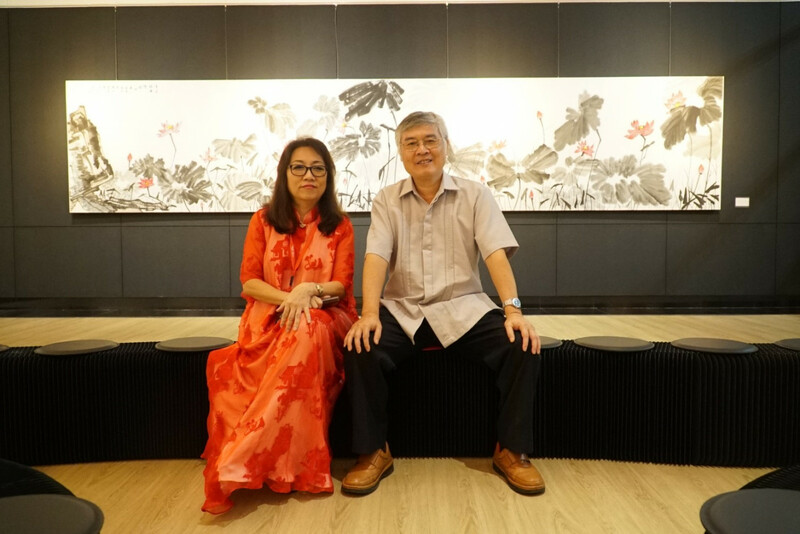 Yince, who is also the founder of nonprofit organization Indonesia-China Art Association (ICAA), told The Jakarta Post that the community art center was not available for rent. “This is a noncommercial art center,” she stressed, saying that the venue was her way of expressing her appreciation for art. “[Perhaps], we will only host one or two exhibitions per year -- art exhibitions of a good standard,” she said, adding that she already had a team of curators for the exhibitions. 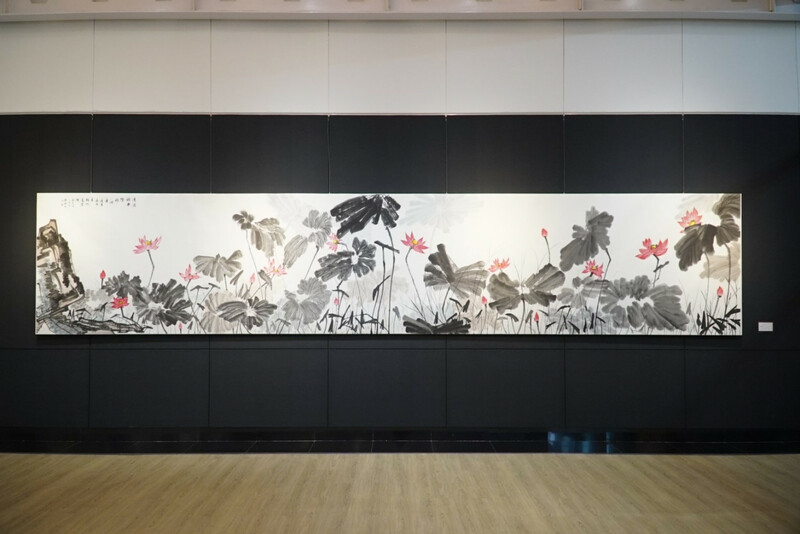 As an art center, Yun Artified regularly hosts a variety of art workshops for the public, varying from oil painting, Chinese calligraphy to Chinese ink painting and sculptures.